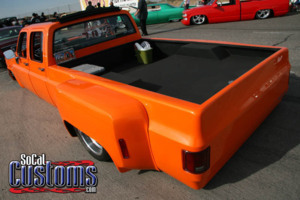 Bright orange, sliding rag top, billet grille, mildly shaved, boddied to the doors. Pioneer head unit, Infinity mids and highs, Extreem amps, Orion subs. Bagged with SS 8's all 4 corners. 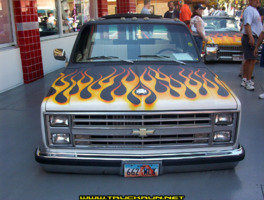 Added my 1985 Chevrolet C3500! 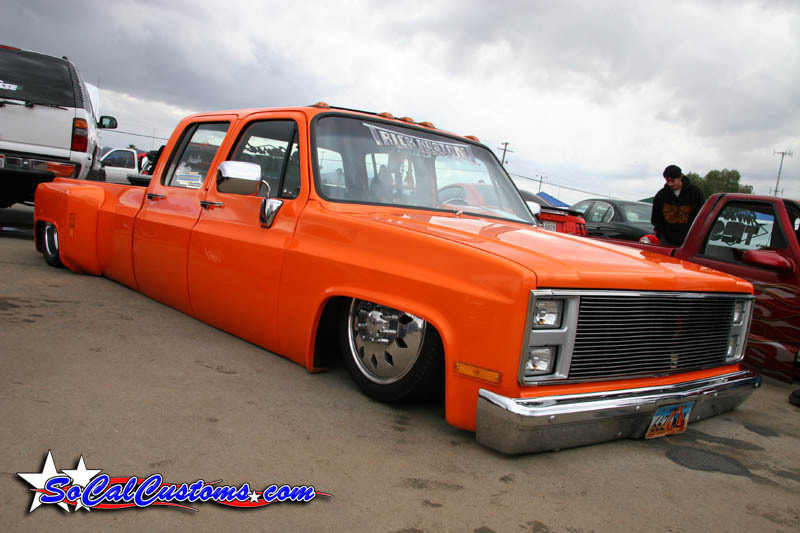 that is one badass truck!!!!!!! 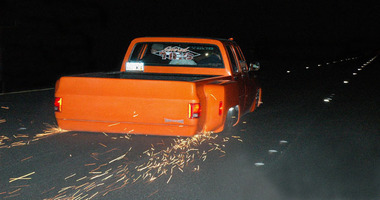 That's a bitchin truck please post more pics.id love to bag mine,for now I can't wait to just do a 5/7 drop. 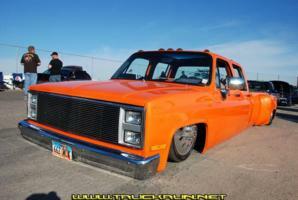 Damn, that's the best looking cc dually I've seen in a long time.